The perfect addition to any vessel, this retractable 4-1/2 inch neat cleat is easily accessible, yet effectively eliminates tripping hazards and snag points with a low profile design. Simply pull up to use, push down to store. Internal friction springs hold the cleat up at any position, while 316 stainless steel construction provides maximum corrosion resistance. Includes drainage receptacle to direct moisture to the bilge. Attwood develops high value, engineered marine products to make life on the water easier to enjoy. Made to meet the demands of boat builders and distribution partners, our products are extensively tested on-site in our lab to provide worry-free boating under all conditions. 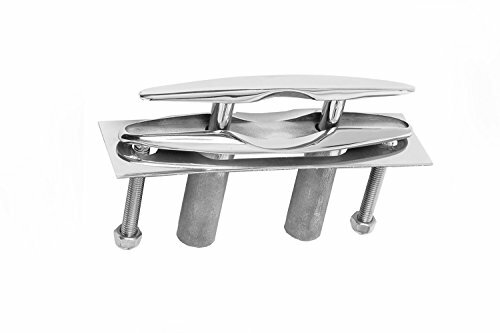 The perfect addition to any vessel, this retractable 6 inch neat cleat is easily accessible, yet effectively eliminates tripping hazards and snag points with a low profile design. Simply pull up to use, push down to store. Internal friction springs hold the cleat up at any position, while 316 stainless steel construction provides maximum corrosion resistance. Attwood develops high value, engineered marine products to make life on the water easier to enjoy. Made to meet the demands of boat builders and distribution partners, our products are extensively tested on-site in our lab to provide worry-free boating under all conditions. The Cleat Seat Retractable Dock Cleat is the cleat seat that won’t hurt your feet! 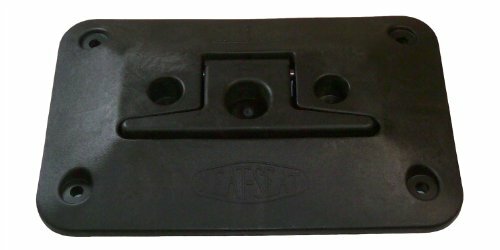 The Cleat Seat provides the convenience of a dock cleat without the stubbed toes that often come along with them. 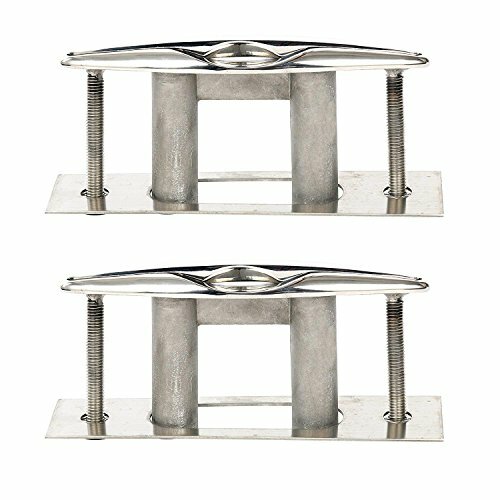 This sturdy 6.5 inch x 10 inch dock cleat features a 2.75 inch high cleat that folds into a 1.25 inch low profile base to provide a smooth top surface. Coupled with its angled sides, this patented design prevents toe stubbing and tripping, and is a boating safety innovation that is provided only by CIPA. The Cleat Seat is also both strong and durable. It is made of a nylon composite that is rated at 27,000 pounds per square inch of tensile strength. The materials will not corrode in salt air, and is UV stabilized to deflect heat up to 400 degrees Fahrenheit. The Cleat Seat provides more safety and style than the old fashioned aluminum cleats. The Cleat Seat is available in solid black (part number 02100 (CS100)), or in white with a black cleat (part number 02101 (CS101)). Mounting hardware not included. 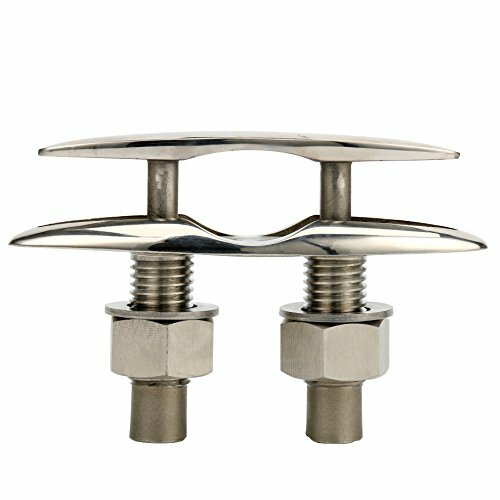 Amarine-made Stainless Steel 316 Pull Up Cleat - 6-1/2"
New Stainless Steel Pull_Up Cleat 6-1/2" with drainage receptacle ,which recesses flush to the deck for a clean, contemporary look at an affordable price. 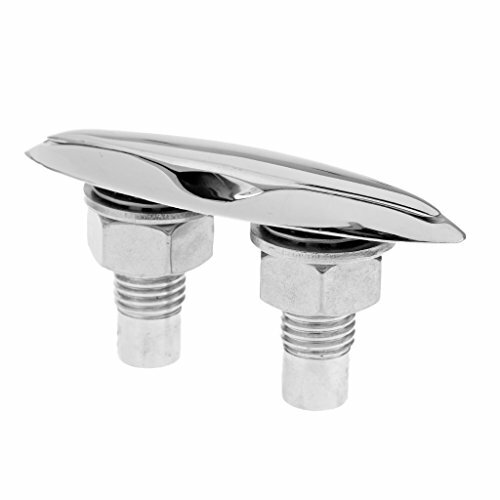 Retractable stainless-steel cleat retracts to only 1/2" above deck and can have direct drainage to the bilge (requires 3/4" tube not supplied). Line Size: 1-1/4". XYZ Boat Supply Pull up Cleats. Sleek, modern design makes decks look stylish and squared away when cleats are not in use. Providing the ultimate in corrosion protection when anchoring or docking. Product details: Material: stainless steel 316 Surface finish: highly polished Size: 6inches (refer to images for more sizing) PLEASE NOTICE THE HOLES THAT WILL NEED TO BE CUT TO INSTALL THESE CLEATS. PLEASE CHECK SIZE MEASUREMENTS TO SEE IF WILL FIT YOUR BOAT. The perfect addition to any vessel, this retractable 8 inch neat cleat is easily accessible, yet effectively eliminates tripping hazards and snag points with a low-profile design. Simply pull up to use, push down to store. Internal friction springs hold the cleat up at any position, while 316 stainless steel construction provides maximum corrosion resistance. Includes drainage receptacle to direct moisture to the bilge.Attwood develops high value, engineered marine products to make life on the water easier to enjoy. Made to meet the demands of boat builders and distribution partners, our products are extensively tested on-site in our lab to provide worry-free boating under all conditions. 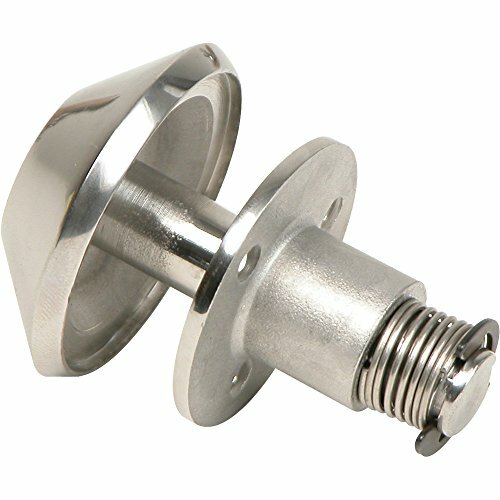 This quality spring loaded fender holder mounts flush and pops out when needed for use! 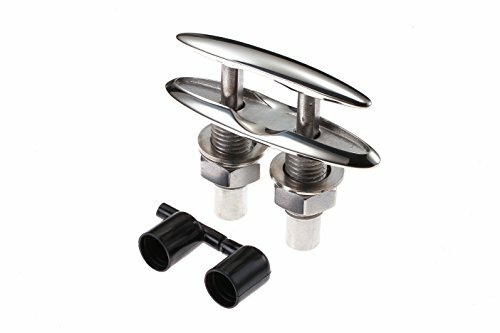 Looking for more Retractable Cleat similar ideas? Try to explore these searches: Cotton Candy Marshmallow, Live Bingo, and Pressed Flowers Greeting Cards. Look at latest related video about Retractable Cleat. Shopwizion.com is the smartest way for online shopping: compare prices of leading online shops for best deals around the web. Don't miss TOP Retractable Cleat deals, updated daily.